Have your book and eat it too! The International Edible Book Festival is an annual event usually held on or around 1st April, which is also known as Edible Book Day. The global event has been celebrated since 2000 in various parts of the world, where “edible books” are created, displayed, and small events are held. The creations are photographed and then… consumed! 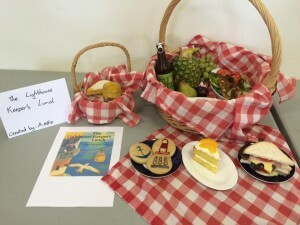 Auckland Home Educators is holding our fourth Edible Book Day on Monday 1 April 2019 – April Fools’ Day. Don’t miss out on this creative and fun celebration of books and art! (The collection will go to the Mt Wellington Community Centre’s food bank for use in the local community). 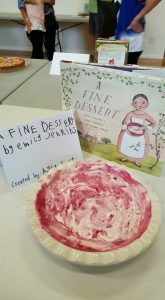 Simply choose a book and come up with a creative way to represent it – as food! All the edible books will be displayed and then we will eat our words. Don’t forget to register. This is a non-competitive event – it’s all about sharing good books, creative ideas, interesting food – and creating community. Join in the fun and bring along your own Edible Book Creation, OR come along and check out what others have made. HASCA is also running this event on the North Shore! (different date)….